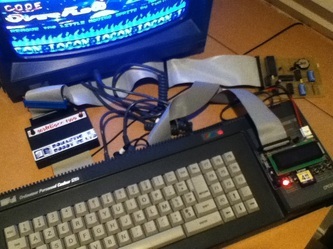 The aim of this project is to replace the floppy disk drive by an electronic device emulating the floppy disk drive. 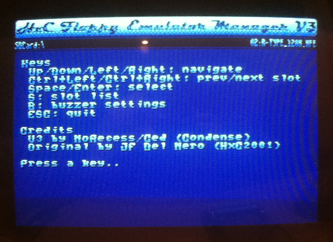 Since the beginning of the project (2006), the HxC Floppy emulators were designed to be very versatile and to support a large variety of computers / keyboards / samplers / CNC machines at a low cost. 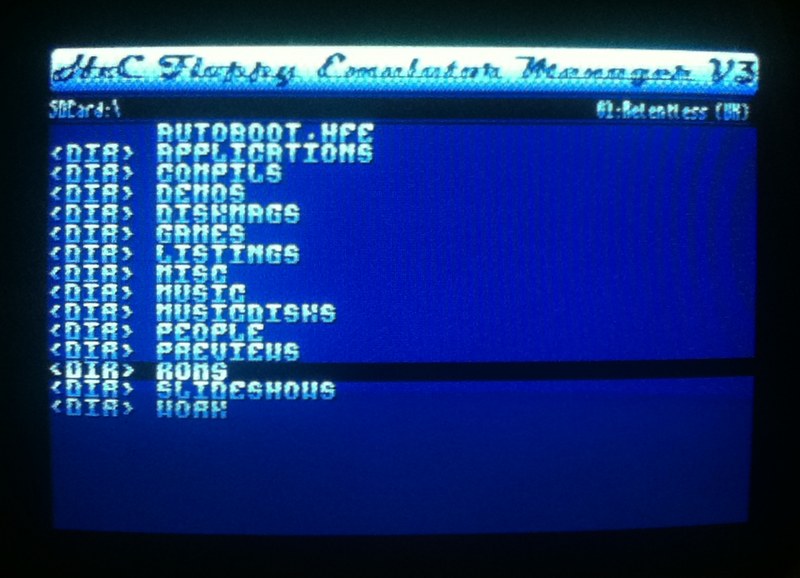 Thanks to its versability the HxC Floppy Emulator supports most existing floppy formats. 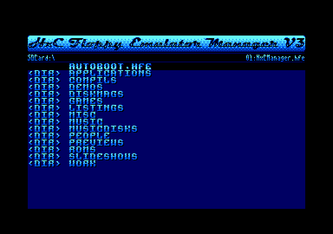 Today the HxC Floppy Emulator is a well established floppy disk drive replacement solution present into the Retro-Computing domain, the Music domain and the Industrial domain. 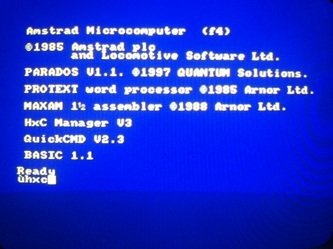 This program is designed to run on Amstrad CPC computers. 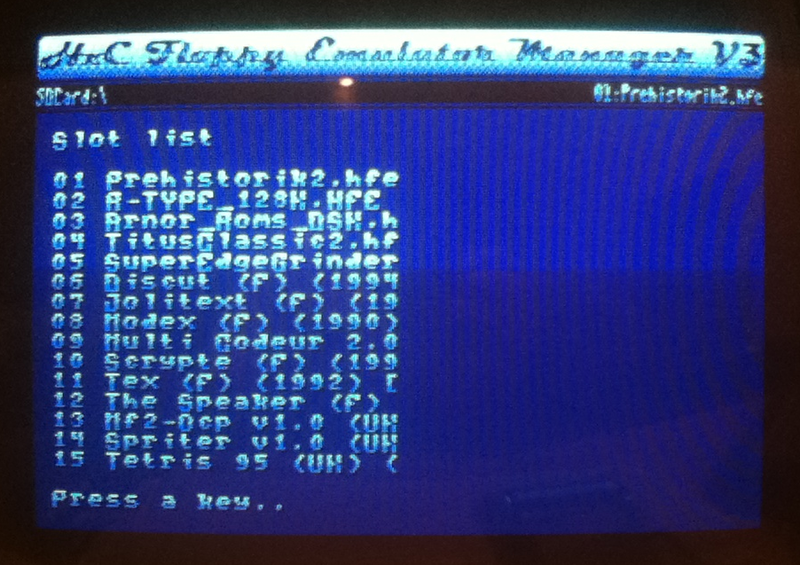 Its main purpose is to select disc images to be used by the HxC Floppy Emulator. 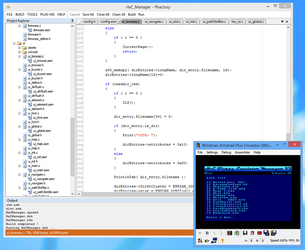 This third major version is a complete rewrite of the original software. It has been compiled against latest version of SDCC C compiler. It features a new user interface (thanks Ced ! ), better support of the HxC device (detection, release..) and some important bug-fixes. Finally, it now allows proper exit to BASIC (Amstrad CPC's default shell). To use the software, user needs to launch it via the RUN"HXC" command. 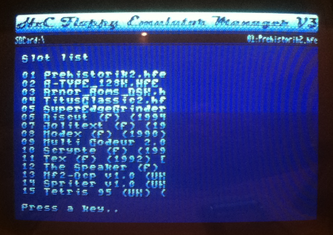 Once launched, the software will try to detect the HxC Floppy Emulator device. If detection fails, please refer to official documentation reference (suggestion: have a look on jumper settings). 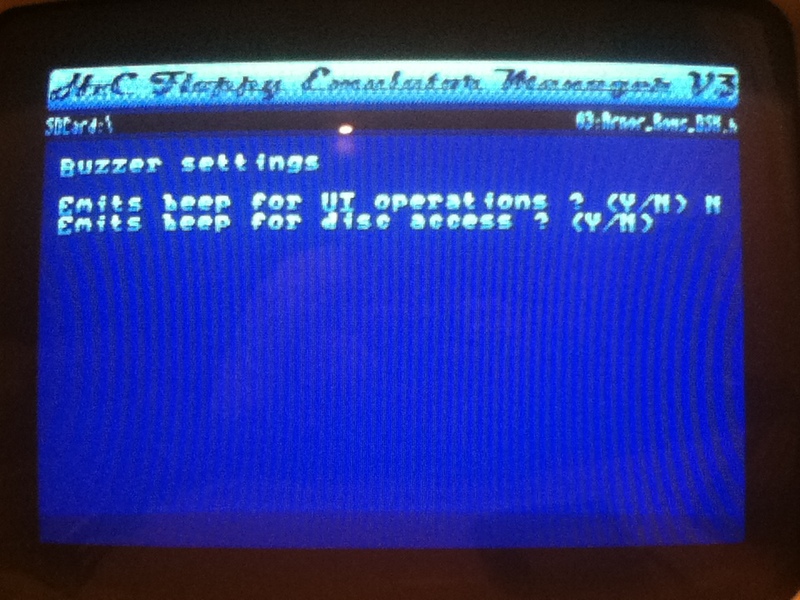 When device is found, the root directory of the FAT32-formatted SDCard will be listed. 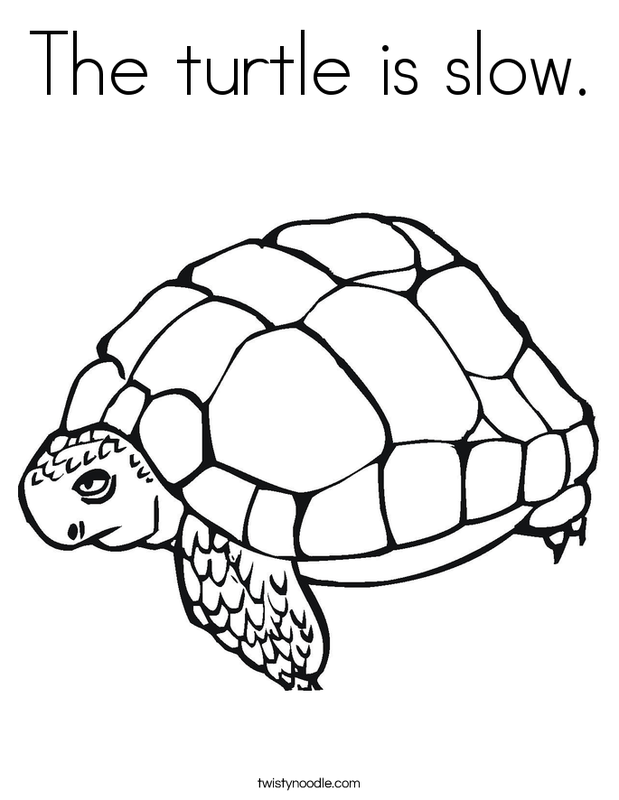 Once you are done, you can leave the software. When leaving, user can save or discard changes. 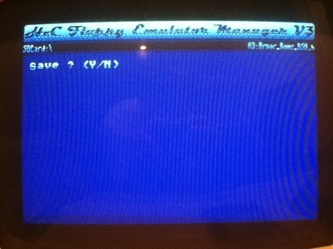 The last assigned slot will be automatically selected. 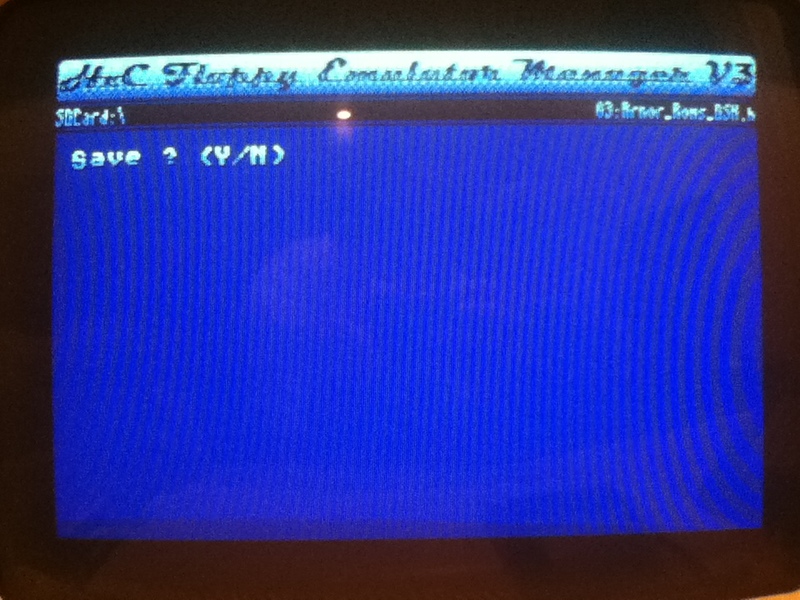 If no slots have been edited, then it will select back the original slot used before entering the manager. With some dedicated hardware (Bryce's MegaFlash, Ramcard..), it's possible to extend original Amstrad CPC's features with ROMs. ROMs are embedded programs that are always available into separate read-only memory locations. They can be accessed at (almost ;-) speed of light, directly from BASIC without any disc loading. One of the cool feature of the manager is to be also available as a ROM version. 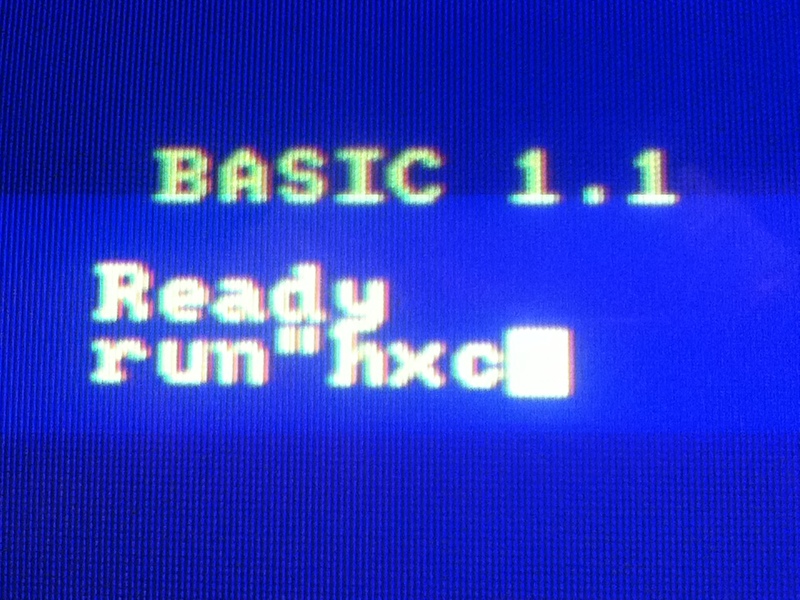 Using such hardware, user can type |HXC at any time (instead of selecting AUTOBOOT.HFE disc image and typing RUN"HXC"). 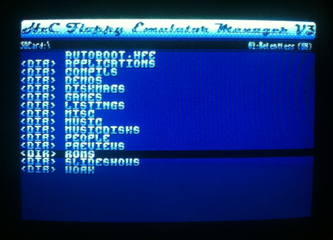 User can find the ROM image inside the AUTOBOOT.HFE disc image under the filename HXC.ROM. I'm not planning to release new versions of the manager (other than maintenance releases, which hopefully should not happen since major testing has been done). This version is supposed to last for years, so let's hope everyone will like it in its current form. Also, it's important to point that all pertinent features have been implemented and are already available today, in this version. Please don't request anything else. By example, there is a reason if the manager does not support alphabetical sorting : this would require first to completely parse a folder (could take minutes in worst cases), then sorts all its entries. Definitively, this approach is not be adapted to a Z80 3Mhz-based computer, that's why paging has been done instead. So, that's it. 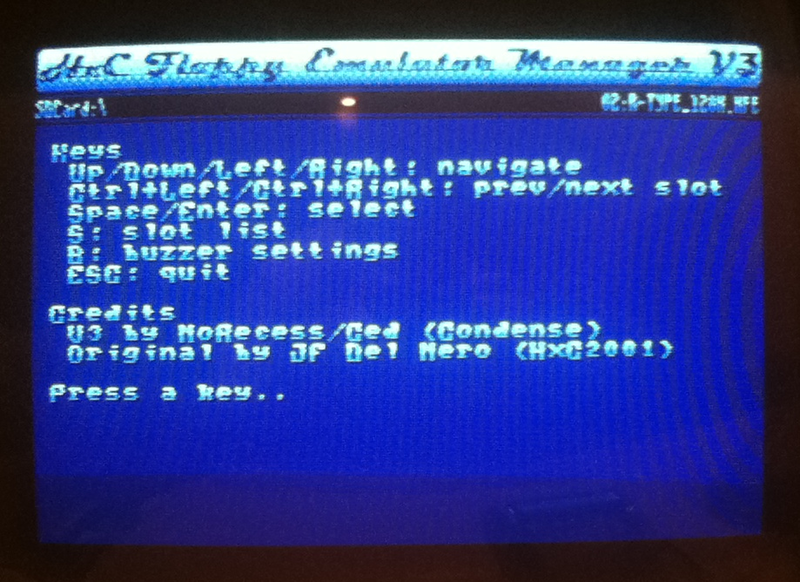 If you have issues with the device itself, please ask your question in the dedicated HxC Floppy Emulator's forum. This also includes connection issues with the computer. If you experience issues with the manager, then feel free to contact me. - Initial revision. Thanks Jeff !!!!!!!!! !